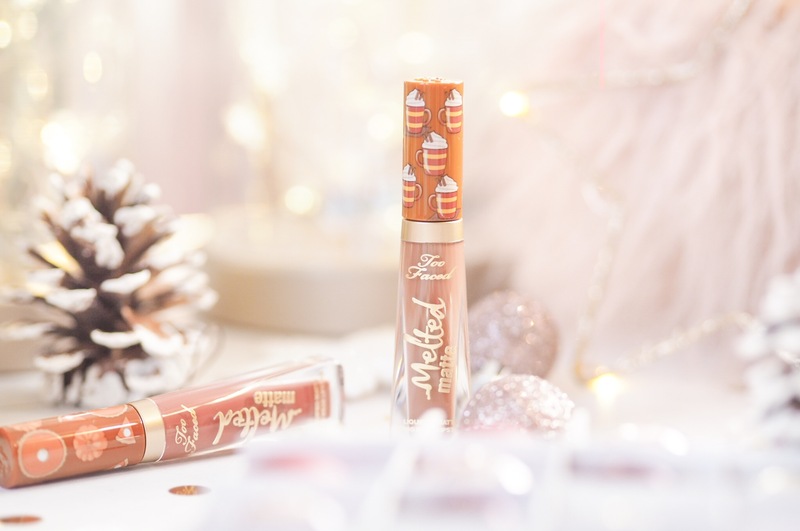 Too Faced Do Gingerbread – And It’s Immense! I’m one of the worlds biggest Too Faced fans, and that is no exaggeration. My blog is full of reviews on their products and I literally don’t think they can do anything wrong. They’re cruelty free, their products work really well and their designs are fun. And fun is definitely something the beauty industry needs more of! One of my favourite times of year for beauty releases anyway, is Christmas. And that’s no exception for Too Faced. Their Christmas collections blow me away every.single.time. I haven’t yet picked up their big beauty sets, but I fully intend to. And the reason I haven’t yet is because my heart initially belonged to another. 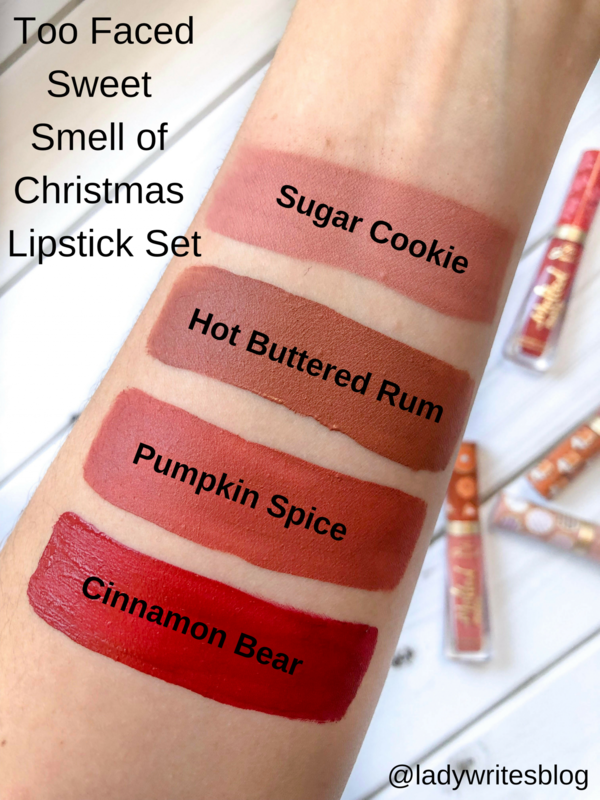 Another for whom it was love at first sight… And I’m talking about the Gingerbread Spice Palette and the Sweet Smell of Christmas Lipstick Set… And apparently so was everyone else because these have been selling out faster than beauty addicts can blink – the desperation to get their hands on these goodies has been rife. I even had to hunt one down in London for my friend, trying four shops before one had any stock! But it’s totally easy to see why isn’t it? 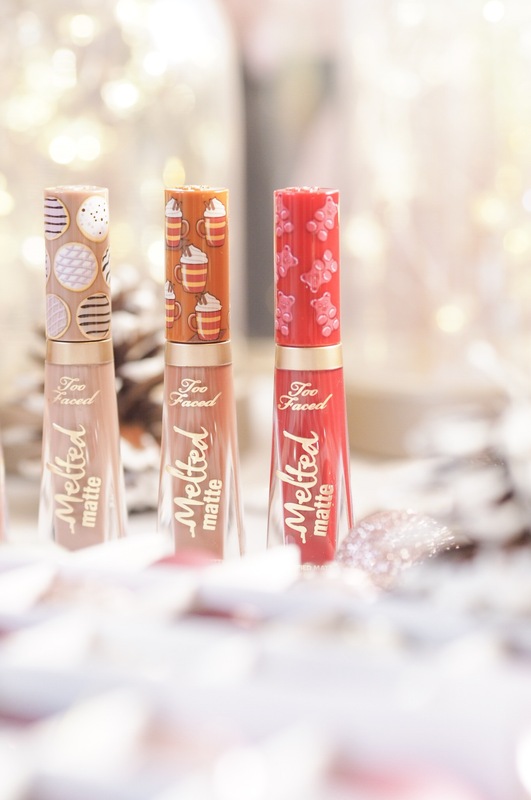 Just look at all that Christmassy make up goodness?! It screams festive and the shades are all actually super wearable. Which is rare for such a festively themed make up collection – usually brands go for festive themes or versatile shades. It’s hard to achieve both in one collection. But this is another thing Too Faced excel at – they get it right where others get it wrong. And nailing the festive theme make up is a big tick again for them this year. 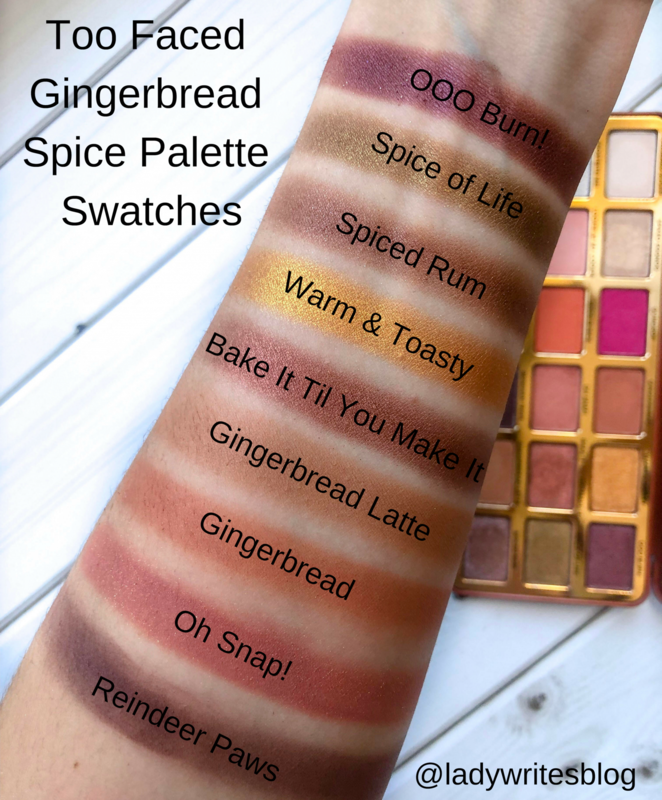 The Gingerbread Spice Palette had my heart as soon as I saw it. The palette contains 18 different shades which are all on the warm gold spectrum of colours. And naturally they all make you think of gingerbread when you look at them because so many of them are those nice toasty and ready-baked colours you associate with Christmas cookies. The shades in the palette range through orange and bronze, with some browns and dark greens to give the earthy tone balance. There’s also a cute pink I quite like as well. The great thing about this palette, and that makes it so versatile is that it varies in finish. There’s some shadows with a matte finish, some with shimmer and some more satin finishes. Some of the shimmers also have a more glittery edge to them as well so you really can pack a whole load of eye looks in one just from this palette alone. And as with all Too Faced eyeshadows, you get a lovely rich pigment in the formula which gives BIG payoff. You’ll notice how rich with the shimmers and satin finishes especially. The matte shades require a little more work, but they’re nicely gentle and give great buildable coverage. 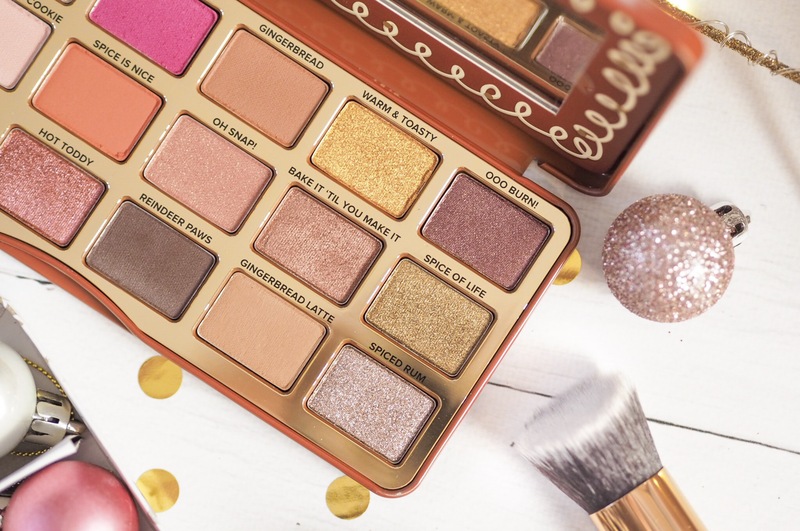 I love to create fun and seasonal looks with this palette and it’s well worth investing in. Although you’ll need to register with all retailers for stock notifications of when it’s back and available. And when it is, snap it up quickly! 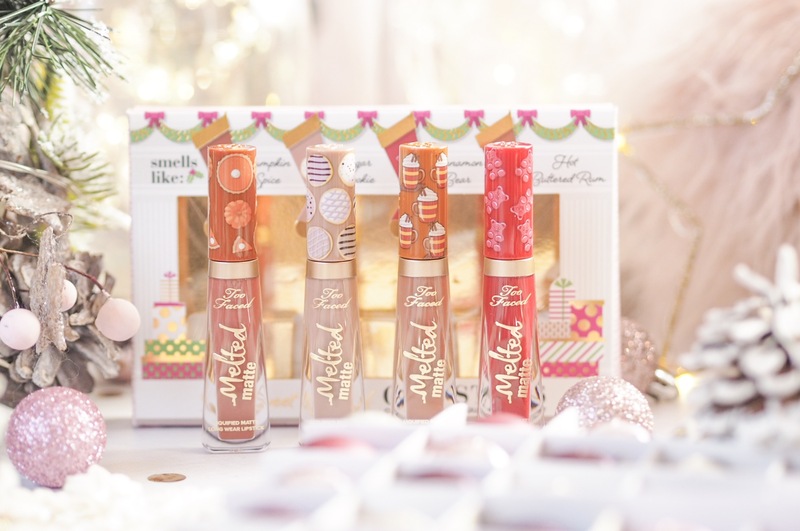 The other item on my Gingerbread spree was the Sweet Smell of Christmas Lipstick Set. Which has also been hugely popular! Featuring four travel sizes of the Melted Matte lipsticks, these are not only themed – but scented too! In the set there’s Cinnamon Bear, Pumpkin Spice, Hot Buttered Rum and Sugar Cookie. All of which are scented like their named counterpart. And they smell so yummy that you find yourself wanting to reapply them frequently! This is despite them having such great payoff and lasting ability that you really don’t need to apply a great deal as these lipsticks hold their own through food, drink and a good amount of time/wear. I have to admit that I’m a sucker for mini make up sets, so I knew I wanted this as soon as I saw it. But I am aware I can be a bit magpie like and not always restrain myself when it comes to buying sets that aren’t my shades. These however are such versatile colours that all skin tones will be able to rock the selection. 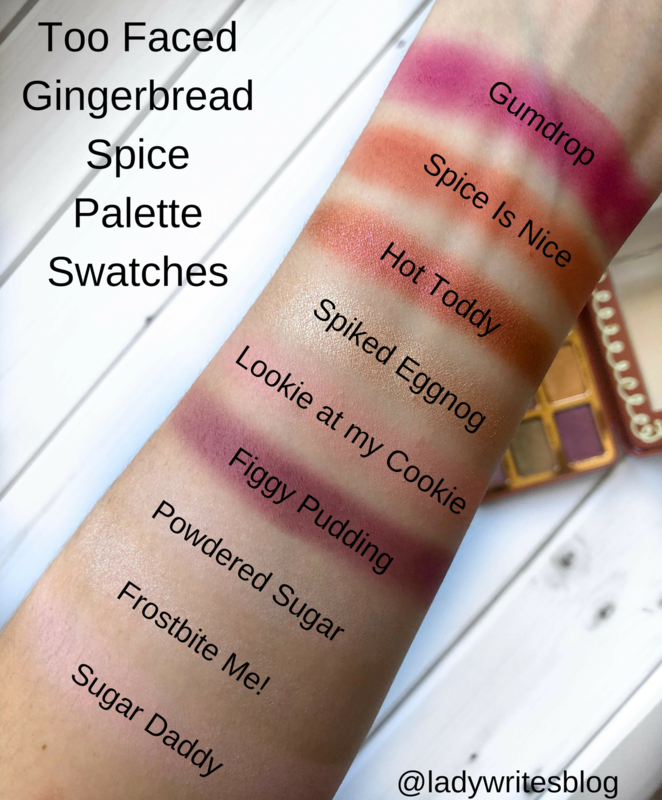 And they perfectly pair with the eye looks you can create from the Gingerbread Spice Palette – it’s like the dream team: they were meant to be together. 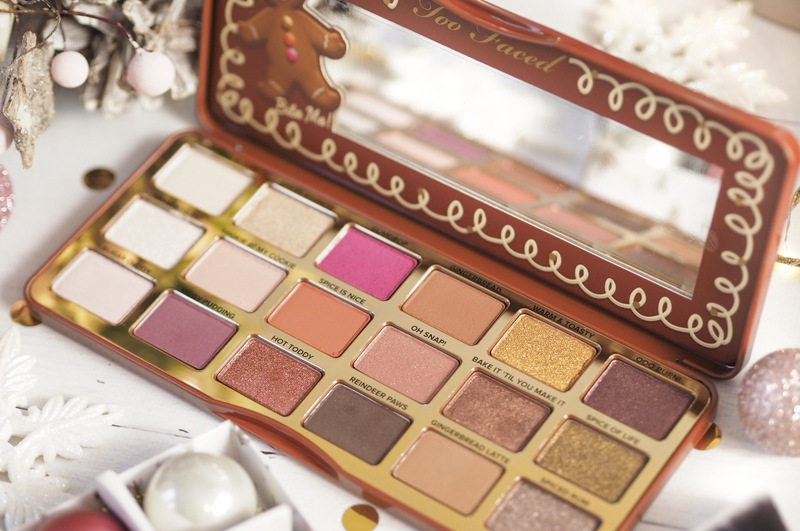 As ever, Too Faced have nailed Christmas. 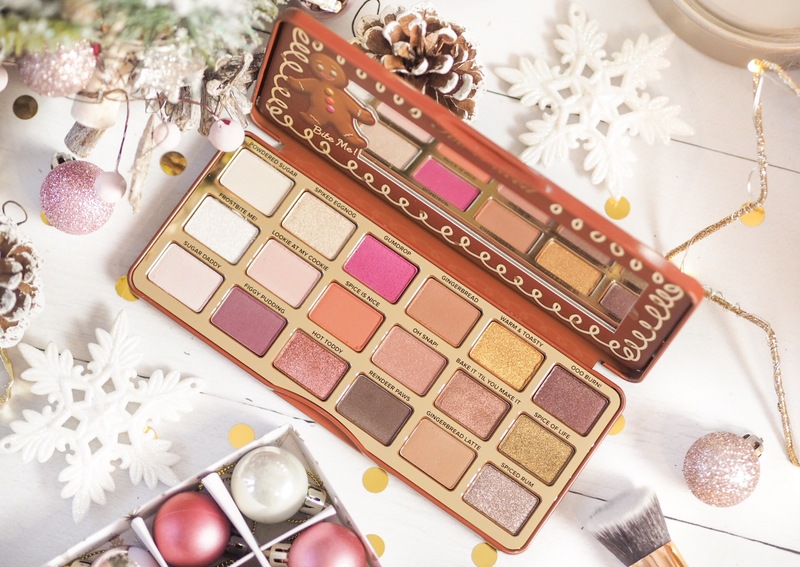 And while I wait to get my hands on some of the sets, I can say with absolute certainty that this could quite possibly be my favourite festive eyeshadow palette to date. Not just from Too Faced, but from anyone. And bold statements don’t come from me that often! 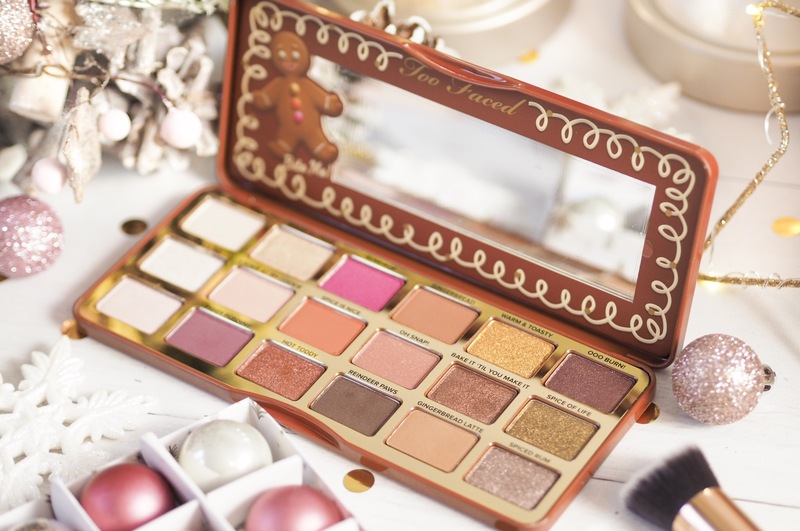 Shop all the Christmas Too Faced bits here! 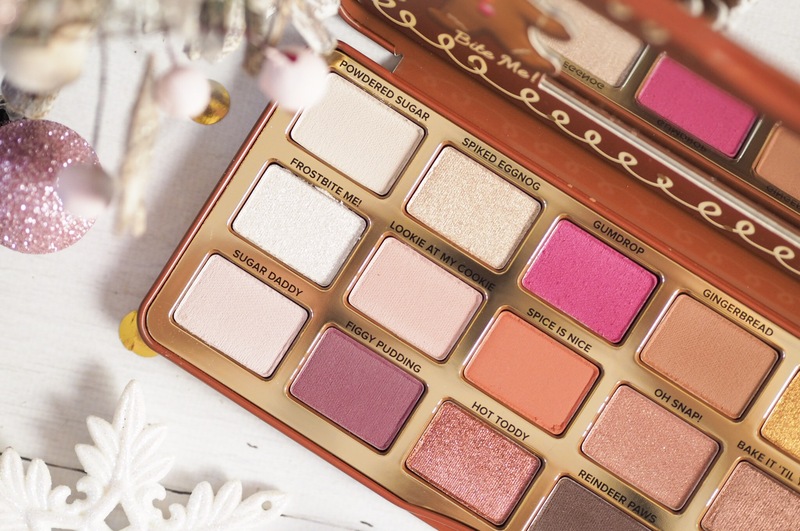 This is just beautiful, such a girly palette! I really need that lipstick set, the shades are just my type! That palette looks beautiful. I like the purpley pink shades. This palette looks gorgeous, and I love the colours of the Sugar Cookie lipstick! Definitely on my wishlist this year. Sugar Cookie is literally a stunning colour! Too Faced are coming out with so many amazing things right now! I need this! The colours are so gorgeous, and I love the presentation of the palette too. I love this palette. 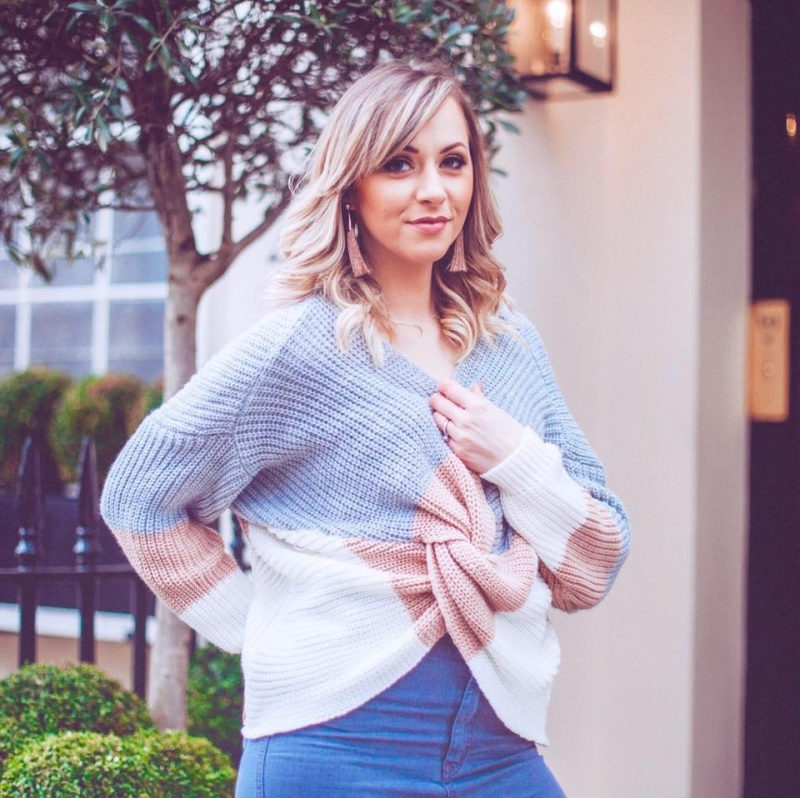 There’s such a good range of shades and tones too – there’s nothing worse than a palette that’s filled with all-shimmery tones. 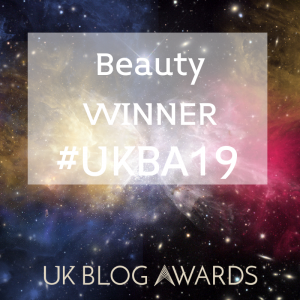 When you get older, there’s still room for shimmer but you have to pair it with something matte otherwise it can emphasise your wrinkles and any crepey-ness in your skin. This looks like it would be perfect.